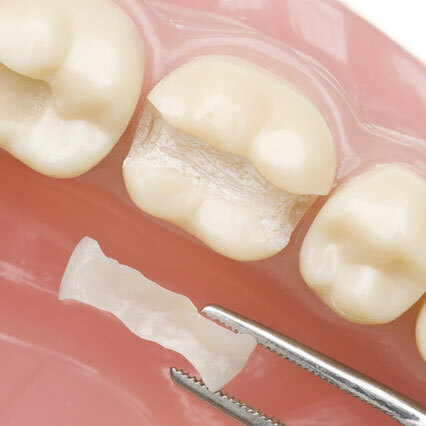 Fillings are known as a common dental procedure that many patients will experience throughout their lifetime. The contents of a white feeling include a plastic and a glass combination which is used to rebuild a patients teeth which may have been damaged due to tooth decay or cavities. White fillings are favorable by many patients when compared to traditional fillings, primarily due to their cosmetics as they are designed to look and feel just like the natural colour of your teeth. The primary advantage of white fillings are their presentation, they are white in colour which can be blended with a patients natural teeth whereas metal fillings are very prominent and not cosmetically appealing. Often times, cold and warm temperatures can affect the sensitivity of an individual’s teeth, however white fillings generally decrease sensitivity caused by these conditions. Fillings are administered when treating cavities, untreated cavities can lead to tooth decay which can lead to more serious complications and infections. It is important to treat your cavity as soon as possible in order to avoid complicated issues which may develop.